Everyone knows Michael Jackson - the myth. This is the revealing true story of Michael Jackson - the man. 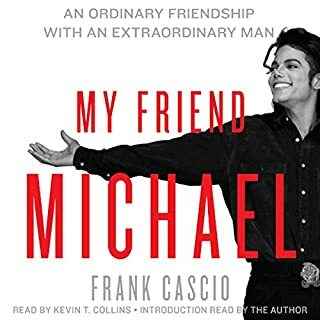 To Frank Cascio, Michael Jackson was many things - second father, big brother, boss, mentor, and teacher, but most of all he was a friend. Though Cascio was just a few years old when he first met Jackson in 1984, at the peak of the pop star’s career, Jackson was at the center of his life for the next twenty-five years. Frank Cascio writes straight from the heart. A first person account shared generously with great insight, deep love, unflinching loyalty. I absolutely loved it. By far Frank’s book is the best Jackson book available today. Highly recommended! !